Today I showed my final Image Design Project titled "Agitation". 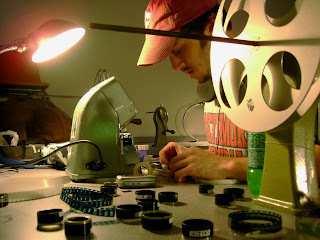 In the picture I am cutting that film together with the essentials. Several projects are in the works all at the same time and everything is wonderful!